It is now going on six years since “The Silver Lining”, the last studio album from Soul Asylum was released. The band has been under the radar recently, playing spot fly in dates over the past few years. Between time they have been slowly piecing together songs for the next release. Last year they played a memorable indoor show for the Hard Rock Outdoor concert series which was moved inside due to threatening weather. Friday night the band returned to Niagara Falls again to play, this time at the intimate Bear’s Den inside of Seneca Niagara Casino. Fans who attended the show found it to be more intimate than expected as the 440 seat venue was half empty. Some bands given the situation, would have let that have an impact on their performance. Not Dave Pirner and Company, as they made the best of the situation and delivered a spectacular show. 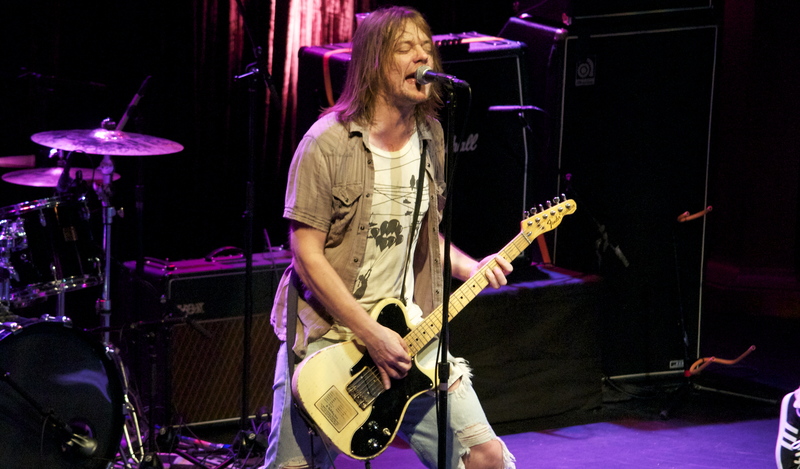 Once Soul Asylum hit the stage to the boisterous “Somebody To Shove” you knew you were in for a special show. Singer/guitarist Pirner seemed to be more interactive with the crowd than I’ve ever seen him before making jokes and was in good spirits. Lead Guitarist Dan Murphy got his time in the spotlight with his vocals during “Cartoon”, a song he penned from 1988s “Hang Time” album. Highlights also included “Black Gold”, “Misery” and the band’s best known song “Runaway Train”. For a band that has averaged about only 30 shows a year over the past few years, it is amazing the band still finds time to dig deep into their catalog. What makes it even more so special is the fact that the band has employed three different bass players over that time. Regular bassist Tommy Stinson also moonlights in Guns N Roses and is not always available. The Niagara Falls crowd were treated to several oldies including “Easy Street”, “Stranger” and “Marionette”. “Into The Light” and “Gravity”, both rumored to be on the new album were given a screen test and went over real well with the diehards in the audience. It was good to finally hear Soul Asylum play with state of the art sound in an exceptional venue. The band seems to have been miring around the past few years, almost as if they’ve been in hiding. Optimistically, once the new album is completed, it would work to their benefit if they can hook up with a big tour package of bands that fit their style. Once that happens the band should be able to show the masses that they are still relevant and that they will not be written off quietly.